Soak the rice, dal and fenugreek seeds in water for 5 to 6 hours. Grind the soaked ingredients in a mixer and leave the batter aside for at least 8 hours or preferably overnight. 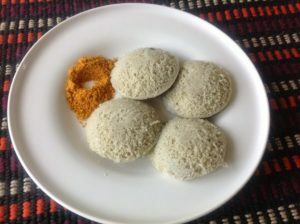 Thereafter, add the soda bi-carb and salt and pour a little mixture into the cavities of a small idli maker. Steam in a cooker for a few minutes. Repeat for the remaining mixture. Serve hot with chutney. Tips Health Information : This novel combination gives idlis having a different flavour and a higher protein content.